I recently met Dr. Shahram Salimy back in April, when he opened up his beautiful dental office. I have had some problems with my teeth in the past and really appreciated his warm nature and ability to help me out without making it all about the costs! I had some veneers put in a few weeks ago and I have to say they are remarkable. Dr. Salimy has patience, kindness and a great dental skills. He created a very relaxing environment to put his patients at ease. They even have a very comfortable blanket for you to use while you are reclining in a very comfortable back massage dental chair! I strongly recommend Dr. Salimy to anyone who wants a dentist they can trust! He also takes insurance, which is hard to find in the Newport Beach area! 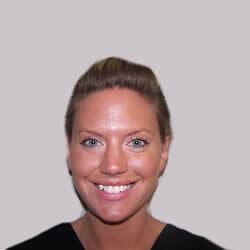 I went to Dr. Salimy for Invisalign (clear braces), and could not have been happier with the results!! The whole process was explained prior to treatment, and was so much easier than expected. All of my appointments were quick and painless… I would recommend this office and Dr. Salimy to anyone!! I recently had suffered all weekend with what I thought might be a cavity. I called that Monday to see if I could be seen as a new patient as soon as possible. They got me in right away and I was pleasantly surprised at the office. 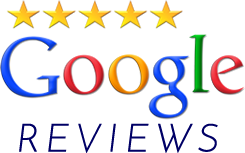 It was beautiful, the staff was friendly and Dr. Salimy was excellent! I had a root canal that day, no waiting to bring me back, he knew I was in pain and did not hesitate to stay and take care of me. I now consider him to be my dentist!! I was there today for a cleaning and it was by the far the best experience Ive had at a dental office. Normally, these are experiences to be dreaded but Dr. Salimy’s expertise coupled with top-of-the-line technology, service, and amenities (i.e. massage chair and the big screen cable tv), made it all an enjoyable experience. Most important of all, Dr. Salimy takes the time out to use his advanced technology and expertise to show you important aspects of work needed or done to your teeth to help you better understand what’s happening in your mouth and to plan ahead to have better teeth. This is their new office that has just started a couple months ago in OC. I know the doctor from Minneapolis were I used to live before and he was simply one of the top dentists in the area! I believe he’s been in this practice for about 12 years now and is extremely experienced. Oh and by the way, the location is very convenient and I love their office design! Always a great experience. Dr Salimy had replaced almost all of my babyboomer fillings. The caps that he has made for me are amazing.